At Maroubra Conveyancing, we have the pleasure of offering our clients a wide array of property law and business law services. Put simply, Conveyancing comprises all of the steps which need to be taken to transfer the ownership of property from one person (or entity, such as a company) to another person (or entity). While there are many different types of Conveyancing transactions, a typical residential transaction involves a buyer (purchaser) and a seller (vendor) entering into a Contract for the Sale of Land. This Contract contains the terms and conditions of the sale together with all of the prescribed documentation required to be attached under the NSW Conveyancing legislation. It is important to obtain quality legal advice in relation to either drafting/compiling the Contract (if you are a vendor) or in the thorough reading of the Contract (if you are a purchaser) such that you are adequately protected at the time of entering into the conveyancing transaction. » Liaising with the incoming mortgagee to comply with their settlement requirements and schedule settlement. 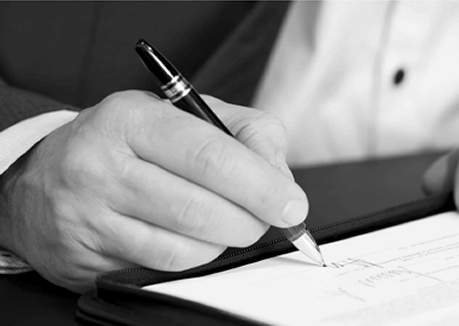 » Negotiate/Liaise with purchasers solicitor in relation to any requested amendments to the contract. The NSW State Government has over the last 14 years introduced a number of grants and stamp duty exemptions and concessions in order to assist first home buyers and make it more affordable and accessible for them to buy their first home. We have many years of experience in assisting first home buyers and advising first home buyers with the purchase of their all important first home and in obtaining the first home benefits that are available at the particular time. Should you have any queries in relation to first home purchases do not hesitate to contact our friendly staff. As a purchaser generally takes a property subject to all physical defects in the property, ie construction defects, damage/wear and tear that has occurred to the property. It is therefore important for a purchaser to be satisfied as to the condition of the property prior to exchange of contracts. Inspections such as building reports, pest reports, strata records inspections (if strata title), company records inspections (if company title), survey reports are examples of reports which may be conducted prior to exchange of contracts to protect the prospective purchaser and ensure that they are adequately informed about the condition of the property being purchased. It is also advisable to make enquiries with neighbouring property owners or tenants in order to identify any problems which they may be aware of in relation to the property or the neighbourhood. Enquiries should also be made with the local council to ensure that any structures/improvements which have been erected on the property have been erected with Council approval or alternatively, a building certificate be obtained from Council which indicates that Council proposes to take no action in relation to the structure which is erected on the property. For property valuations we recommend Aspect Valuation Services. They also provide a comprehensive property finding service for purchasers.